We are committed to safeguarding any personal information that we collect online. We use commercially reasonable efforts to protect the security of your personal information by using industry-standard security technologies and procedures to help protect your personal information from unauthorized access, use, or disclosure. We safeguard the security of the data you send us with physical, electronic, and managerial processes. We use industry-standard Secure Sockets Layer (SSL) encryption to protect your sensitive information while you are on our site. While most browsers are SSL-enabled, we recommend that you verify that your browser is SSL-compatible and that SSL is enabled in your browser to benefit from this security protocol. Prior to participating in the POWer Track, which is a helpful online tool for children and parents to track children's fresh produce consumption, we require parent/guardian consent. Please know that we cannot and do not condition a child's participation in an activity on the child disclosing more personal information than is reasonably necessary to participate in that activity. We ask children to provide a user name and to have their parent/guardian provide us with the parent/guardian's email address so that we can obtain and confirm the parent/guardian's permission. After we receive parental/guardian permission, then children are asked to create a username, password, and choose their school (if they attend a POWer PLAY'te™ participating school). We collect that information so that children can log and keep track of their fresh produce consumption over time and so that we may provide that same information, as well as the latest POWer PLAY'te™ information, health and product news, by email to parents. For participating schools, we may also provide aggregate data to schools and users on the total amount of fresh produce that is consumed by students at each school. We will not disclose any individual data to schools. You may review the information that we have collected at any time and may request that we revise or delete it. You may also revoke your child's permission to participate at any time. To do so, please simply send us an email at info@powerplayte.com or call us at 928-376-2408. When you visit the site, we automatically record anonymous information (i.e., information that does not personally identify you) about your visit. This information may include your IP address, operating system and browser version. We use this information to generate usage statistics and to ensure that the site is accessible to the widest possible audience. We may also track and analyze non-identifying and aggregate usage and volume statistical information ("Aggregate Information") from site users. This Aggregate Information is used to help us diagnose technical problems, administer the site and better evaluate the products and services that are most appealing to different segments of our members. Cookies also enable us to track and target the interests of our users, to display the most appropriate advertisements, if any, and to enhance the overall user experience. If you choose to not have your browser accept cookies, you will be able to view the text on the site. However, you will not experience a personalized visit. Web beacons are electronic images (also called "single-pixel GIFs"). This technology tells us how many visitors clicked on key elements of the site. We may include web beacons on popup windows, in search functionality, on browser pages, web pages, or in email messages in order to count how many recipients have viewed these messages. We may use this technology to access your User ID, but your User ID is the only personal information we use on web beacons. Web beacons may include other information that is not personally identifiable. We also use web beacons to compile aggregated statistics about site usage. An IP address is a numerical label used to identify your computer on a network. We make a record of each user's IP address. For logged-in users, IP addresses may be connected to your User ID within our system. We collect and use IP addresses to assist in logging certain click-stream information, as further set forth below, in order to analyze trends, administer the site, track user's movement, and gather broad demographic information for aggregate use. We may also use IP addresses to track abuse of our system. Your browser type (e.g., Internet Explorer, Firefox, Safari). Requested document (the page you're looking at). Referrer URL (the page you came from if within the site). The information described above, sometimes called log-file or clickstream data, is used to monitor site performance and ensure the site functions properly. The POWer Play'te™ site may contain links to other websites that are not operated by us ("Third Party Sites"), such as the websites of information providers, merchants, advertisers and social networking channels. We are not responsible for the privacy practices or the content of these Third Party Sites. We advise you to read the privacy statements of any Third Party Site to understand their privacy practices before using the Third Party Site or disclosing any personal information on them. As we continue to offer our visitors new content and services, we may modify our practices. We will let parents/guardians know of any changes. Those changes will also be posted online for our members. We will always treat all personal information we collect in accordance with the privacy notice in effect at the time the information is collected. 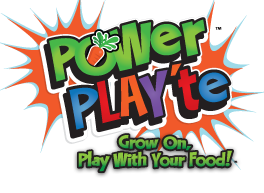 If you have any questions, please don't hesitate to call 928-376-2408 or e-mail info@powerplayte.com.